Home » Law firms , Law Office Management » How is Technology redefining Legal Profession and Law Office Management? How is Technology redefining Legal Profession and Law Office Management? 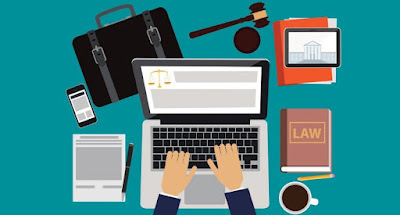 Technology has significantly impacted most industries and fields in the world and the legal profession is not an exception especially in the area of law office management. The legal profession like other professional services is dynamic and it has shown this by adapting to the socio-economic realities around the world through the integration of technology into legal practice. This article examined the beneficial relationship between law and technology, its impact on law office management and current trends in the global legal industry. Many factors have influenced the economic development of the world at different stages, the third and fourth industrial revolution (characterized by the use of information technology to automate production and fusion of technologies that has blurred the line between the physical, digital and biological spheres respectively) have increased the possibilities of billions of people being connected by mobile devices and other means, this has engendered various inventions like internet, social media, artificial intelligence, the internet of things, autonomous vehicles, nanotechnology, quantum computing, etc. Similarly, new professions and skills like Computer science, Certified Software Management, Networking, Software Development, Systems Analysis, etc. have been birthed while old ones like Law, Medicine, Engineering, Banking, etc. have adopted technology. Some few years ago, lawyers were accused of being arsy-varsy in adopting technology, critiques even suggested that lawyers were Luddites and it was because the trade of law thrived on obsolete and unnecessary professional practices like being ever reliant on sharp practices and ‘medieval’ methods of document and case management, delitescent billing system and mundane business operation. Fortunately for the profession, technology does not discriminate, there is room for anybody, anywhere in the world to catch up and adopt it as long as the requisite infrastructure are in place, asides this, use of technology in the professional services industry became invaluable, Management Consultants, Medical practitioners, Accountants, etc. rely on technology to deliver better services to their clients and of course, reap the benefits relatively. Therefore, as technology was customized to improve service delivery in some of the above mentioned industry segments, developers started designing hardware tools and software applications specifically for improving the efficiencies within the legal practice. On one hand, technology has redefined Legal education globally, research is the tool of legal practice, and one cannot ignore the fact that the advent of technology has enhanced this throughout the world, law students now have unrestricted access to contents regardless of their physical location. Hence, many Nigerian universities (and even the Nigerian law school) have incorporated Information and Computer Technology (ICT) into their curriculum, similarly, lectures are now delivered using hardware tools (computer, projectors, etc.) and software applications (Ms Office), law faculties in the country now have libraries with Computers, internet and paid subscription to research databases like Lexis/Nexis, Law Pavilion, etc. At the Post-graduate level, universities around the world now offer technology related courses for legal practitioners, for instance, Stanford Law School and Harvard Law School offer Law, Science and Technology at the master’s level (LL.M). Even the Nigerian justice system has given room for technology by allowing the admissibility of “Computer Generated Evidence” in evidence during civil proceedings and criminal trial pursuant to Section 84, Evidence Act, 2011. Simply put, law office management (also known as law practice management) is the management of law practice. This is the study of the organisation and methods employed in the law office and the relationship between members of staff of that office on one hand and their relationship with members of the public with whom they are in contact. It is also concerned with the development of human and other resources in a law office. Efficient office management of a lawyer comprises a number of vital functions, including time management, organizing the paperwork and workspace, managing cases of multiple clients simultaneously, and being in control of all activities and responsibilities. It includes management of people (clients, staff, and vendors), workplace facilities and equipment, internal processes and policies, and financial matters such as collection, budgeting, financial controls, payroll and client trust accounts. No doubt, legal knowledge is important, however, law office management can determine the success or failure of a legal practitioner. Components of the law office management include; location of the law office, size and features of the law office, employment and human resources, equipment and furniture requirements, storage of documents, library, office communications, power supply, rest rooms, meeting halls and visitor rooms, working facilities, Periodicals and Journals, etc. The next part of this article will bother on importance of law office management, impact of technology on Law Office Management and highlight the skills needed by a 21st Century lawyer.